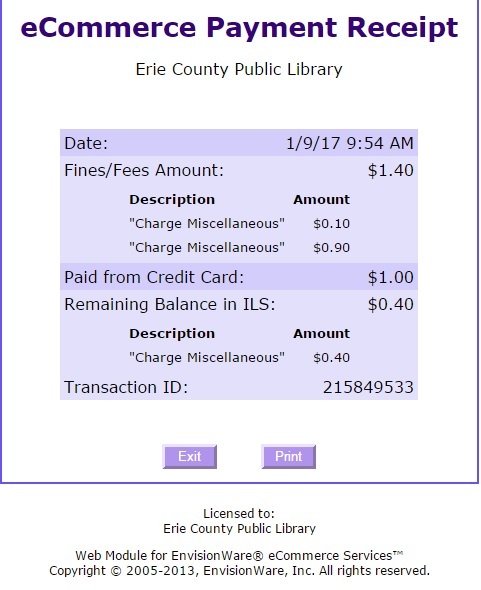 This service is for ECPL & PLEC card holders with a home library with at least $1.00 in unpaid fines and is not available on the mobile site. 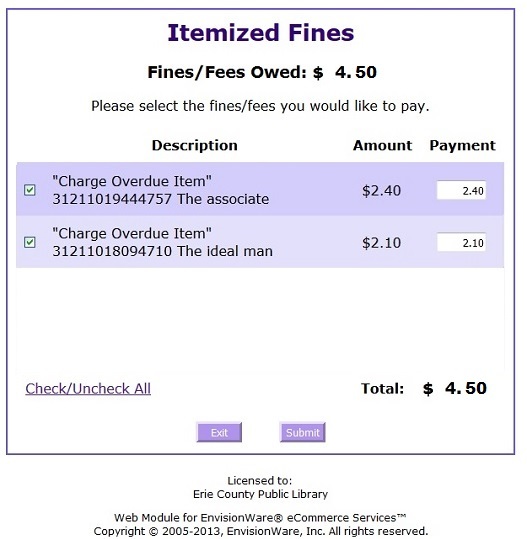 After connecting to the catalog, scroll directly to “Fines & Fees,” or select My Account – either will direct you to log in. 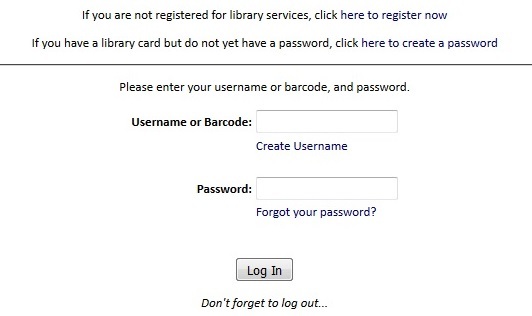 Enter your “User Name or Barcode“ and “Password.” Your “Library Card Number” is your 14 digit library card number (without spaces). 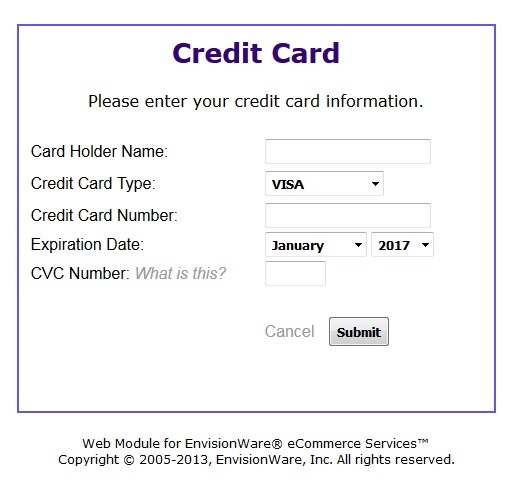 For accounts created prior to 2017, Your “Password” is your 7 digit phone number (no spaces, no dash) we have listed on your account. 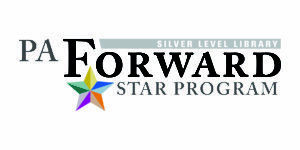 Otherwise, your “Password” is the last 4 digits of your primary phone number, unless you have changed it. 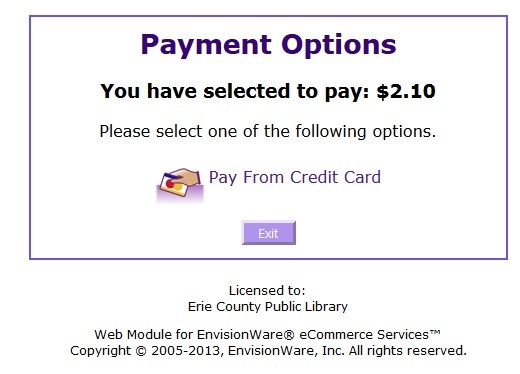 If you experience an issue with online payments, please report this issue to a staff member.